Be Part of the Next Generation of Sports Leaders with Our Online Master’s in Sports Management Program in Sports Administration (Non-Thesis)! 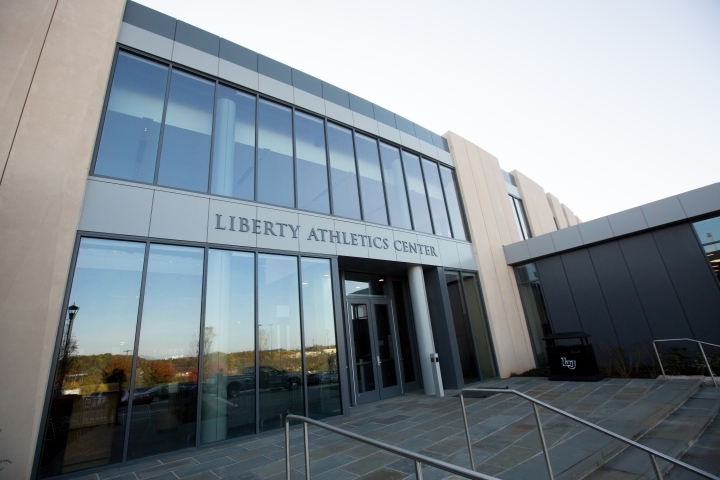 If you have a desire to turn your love of leadership and sports into a career, Liberty’s 100% online Sports Management – Sports Administration (Non-Thesis) Degree can help you pave the way. As you earn the online Sports Management Master’s degree, you will gain advanced knowledge in sports culture, business, community relations, legal issues, ethics, finance, facility management, development, and leadership while integrating faith with a passion for becoming a leader and a prominent voice in sports administration. With our online Sports Management Master’s practical internship, you will be equipped to succeed as a professionally trained leader in all aspects of sports administration. Liberty’s online Master’s in Sports Management Degree in Sports Administration will propel you to the career in Sports Administration you always wanted while taking less than two years to accomplish this educational goal. You do not have to step aside from your family or professional life since this program is online and flexible with your lifestyle. Let our online Sports Administration degree help you become a future leader and professional in sports administration without having to travel to campus. Whether you are a former or current athlete at any level, looking for a career change, or want to advance your career in sports administration, our Online Master’s degree in Sports Administration is for you. Why Choose Liberty’s Online Master of Science in Sports Management – Sports Administration Degree? If you love sports, enjoy leading people, and have a desire to go further in Sports Administration, our online Master’s in Sports Administration Program should be at the top of your list. Liberty’s accreditation by the Southern Associate of Colleges and Schools Commission on College (SACSCOC) and the Sports Administration degree’s accreditation by the Commission on Sports Management Accreditation (COSMA) will help build your credibility in the marketplace. You will not only gain a credible education but a perspective on how to influence those in your community through sports. We teach you how to integrate your faith with your professional life in our online Master’s Degree in Sports Administration, blending academic excellence with personal integrity so you can be qualified to lead by example. With this program’s practical internship, you will gain hands-on experience in applying your Sports Administration expertise in the field and open the door to new employment opportunities. Increased job opportunities in the field of Sports Management. Experienced professors are teaching your Online Masters in Sports Management courses. Convenient eight-week, 100% online courses in our Sports Management Degree. Transfer in up to 50% of your required classes. Please visit the Transfer Policy Page for more information about transferring credits to the Online Sports Management Program. What Will You Learn in the MS in Sports Management – Sports Administration (Non-Thesis)? This Master’s Degree program provides you a with well-rounded education through combining the field of sports with the skills required for administrative positions, presenting modern practices and theories from a Christian worldview. You will be able to work towards your career goals by taking courses that examine the importance of leadership and administration within an organization. These in-depth courses include subjects such as event planning and management, sales and development, and management and leadership. The Masters in Sports Management program strives to provide you with a quality education based on Biblical principles to help form a solid moral, ethical, and value-driven approach to Sports Administration. By earning your Master’s in Sports Management – Sports Administration degree from a nonprofit university whose online programs ranked in the top five out of more than 2,100 online colleges and universities for academic quality, affordability, and accessibility, you will be set apart from others in the field. Tuition for all undergraduate, graduate and doctoral programs has not increased in three straight years. While many other online colleges have raised tuition, Liberty has been able to keep costs low as a nonprofit university. You can complete this degree program in as little as two years! Get hands-on experience in applying your sport administration expertise through a practical internship in your area! Build your resume with top quality training and in-depth studies in Sports Administration so you are equipped to excel in the field. Our online Masters in Sports Management Degree ranked in the top 10 with BestColleges.com, CollegeChoice.net, and AffordableColleges.com for Best Online Masters in Sports Management Degree. If you want to find practical solutions to sports administration industry problems through guided research, take a look at the MS in Sports Management – Sports Administration (Thesis Track)! This program falls under the School of Education. View the Degree Completion Plan. Additional discount for veterans who serve in a civilian capacity as a First Responder. A regionally or nationally accredited Bachelor’s degree with a 3.0 or above GPA is required for admission in good standing. Please visit our Admission Requirements Page for more detailed admissions related information. **An official transcript is needed within 60 days of acceptance or before non-attendance drops for the first set of matriculated classes, whichever comes first.